Fujitsu ™ ASY (ASH) 7/9/12/18 USCCW, — the most tradable model with excellent мощностными characteristics. Fujitsu ™ (Fujitsu General) — models ASY or ASH 7/9/12/18/24/30 U.
А есть ли у кондиционеров какие-нибудь подвиги? Так, наш Фуджитсу, — как естественный долгожитель среди сплит систем своего класса, удивительная надёжность проверенная временем. Потребление электроэнергии у таких кондиционеров не важное, т.е. плохое энергосбережение и энерго-эффективность, но есть и неумолимые плюсы: это... удивительная тишина работы наружнего блока сплит-системы данной модели. Это на самом деле так. Fujitsu of standard picking, — anything superfluous and affected, strict classical design and elegant forms, and also the highest reliability confirmed with time. It those qualities, made Japanese conditioners of Fujitsu leaders of sales in the class of Japanese conditioners. Fujitsu (General) ASY — ASH 18 usccw. Historical feat of a long-liver. Yes, so, conditioners Fudzhitsu of the given series — the veteran of a climatic line, are all nuances ground to trifles and a production process error. Anything superfluous — simplicity and reliability have made conditioners of Fujitsu ASY 7/9/12/18/24/30 U, leaders of sales in the Japanese market of climatic technics. 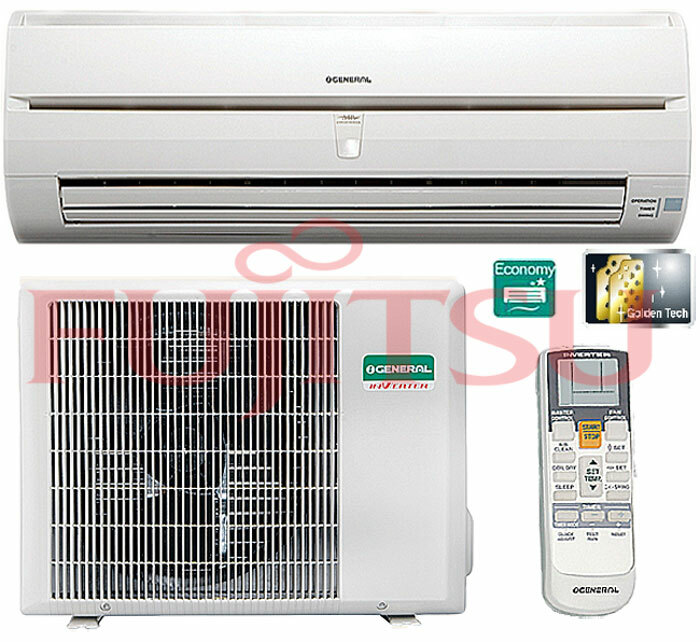 Climatic legend | your reliable partner — Fujitsu (Japan). About reliability and durability of conditioners of Fujitsu, in the homeland, in the country of a rising sun (Japan), there are tall stories and fables. The numerous winner of competitions «Conditioner of year», set of awards and prizes, but the main thing — a stable customer demand. ASY 7/9/12/18/24/30 U, — that. Characteristics of model of the given series. — About it and many other things, you can learn attentively having studied the given table of possibilities of the conditioner of Fujitsu, Fujitsu General of a series 7/9/12/18 USCCW.